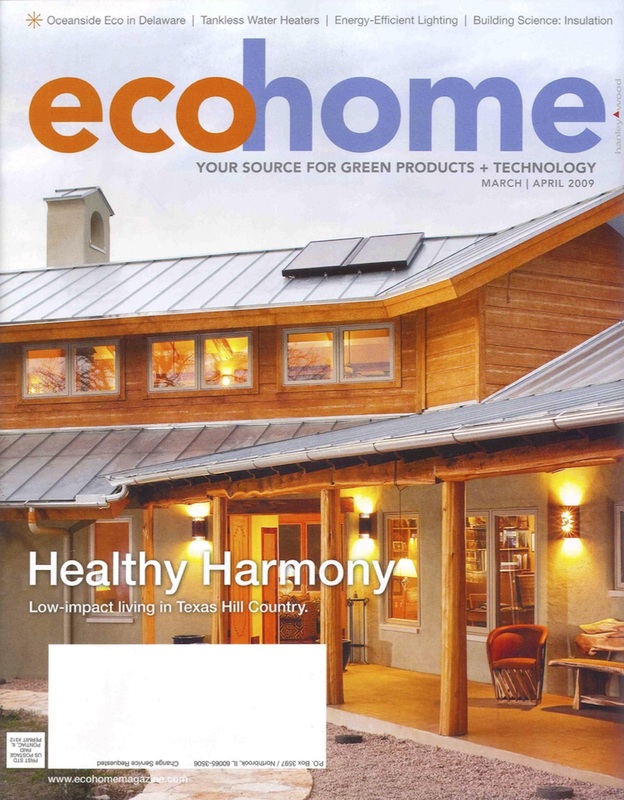 (From Echo Homes Magazine April 2009) By: Katy Tomasulo: The Silver woods beach community blends habitat preservation with traditional-style homes that go green without sacrificing popular amenities. 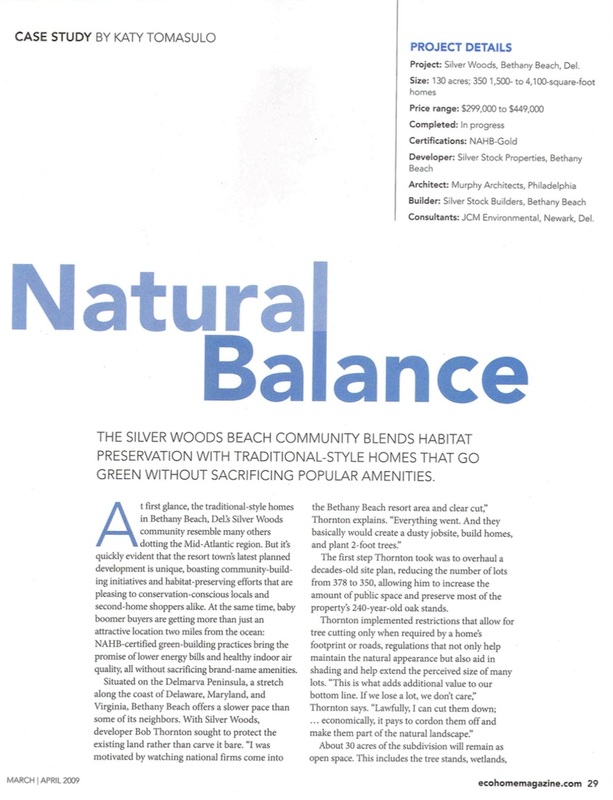 Natural Balance – The Silver woods beach community blends habitat preservation with traditional-style homes that go green without sacrificing popular amenities. 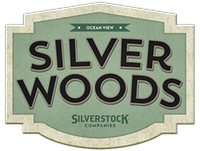 Project: Silver Woods, Bethany Beach, Del. 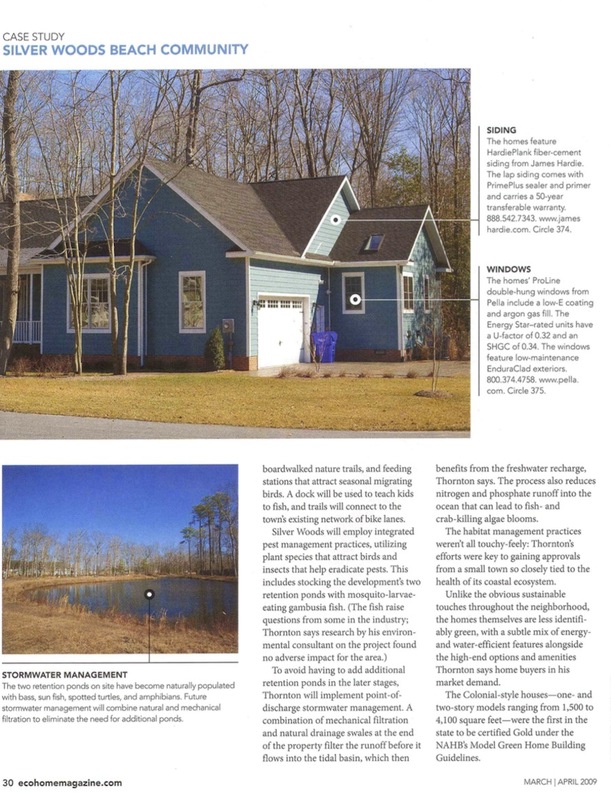 Size: 130 acres; 350 1,500- to 4,100-square-foot homes. 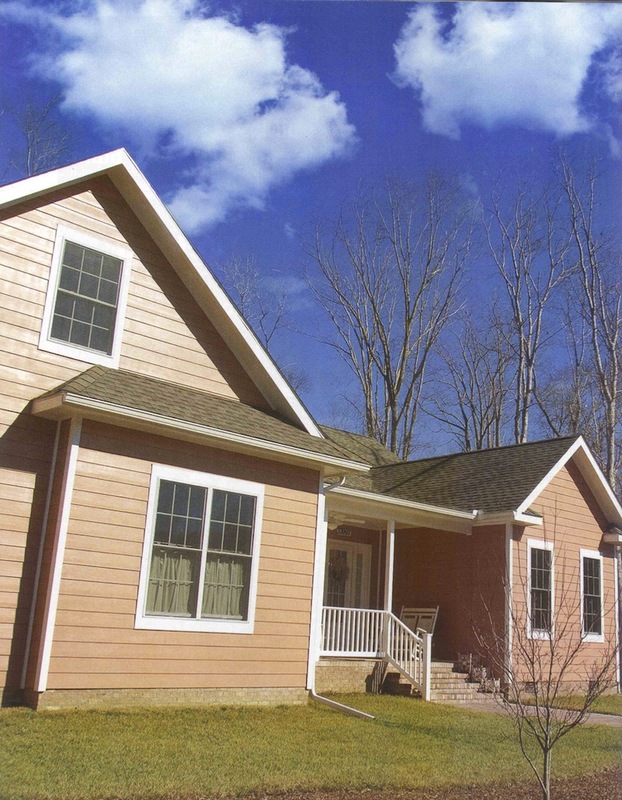 Price range: $299,000 to $449,000. Completed: In progress. 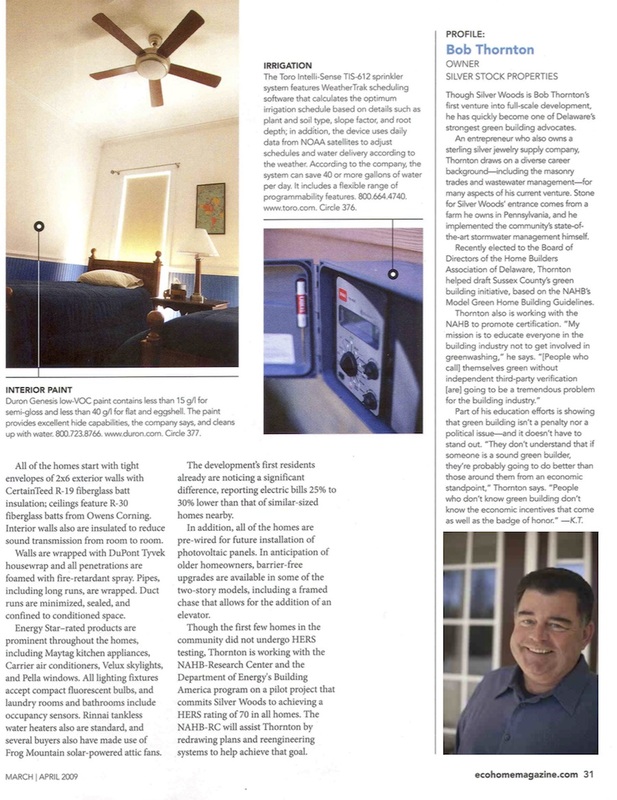 Certifications: NAHB-Gold. Developer: Silver Stock Properties, Beach. 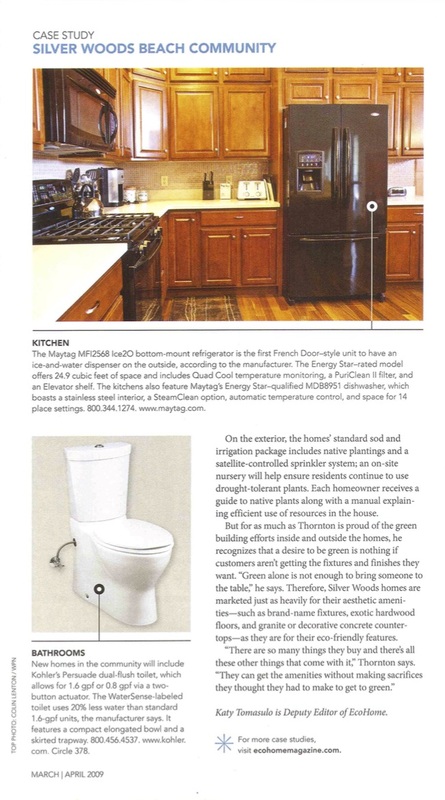 Architect: Murphy Architects, Philadelphia. 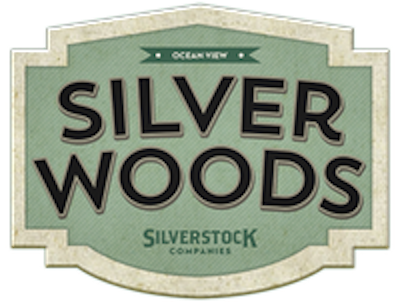 Builder: Silver Stock Builders, Bethany Consultants: JCM Environmental, Newark, Del.